We will prepare and file all applications with the proper Government Departments. Open permits are building permits which a Certificate of Occupancy was never obtained. We can get your Certificate of Occupancy for those structures. Structures built without Building Permits. We can provide you with information on your home from the Building Department. All Brookhaven town searches are free. We will come to your home and take accurate measurements. We will then prepare construction drawings or plans which will be used to obtain all necessary Building Permits. When selling your home, you will usually need a title survey. This is a new survey showing all additions to the original house, as well as any other structures on your property. Radius maps are required for variance procedures. We can obtain them quickly. You can chose to use one of our licensed contractors or we can coordinate with your contractor. If you are thinking about selling your home, Building Permits Plus. should be your first stop. We will gladly assist you in Legalizing structures built without building permits. 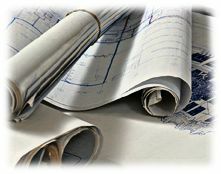 If you just need plans & blueprints we can help you with that as well. Whether you need plans of your House, Garage, Deck or Pool, we can draw them for you. Building permits Plus drafting consultants, have the knowledge of all zoning laws to get your permits passed for all legalization issues.